Mexican authorities are saying that two ICE agents who were shot in the northern part of the country Tuesday were ambushed on a road about four hours north of Mexico City by drug cartel gunmen, the Washington Post reports. One died and the other was wounded and is stable condition. The paper reported that the governor of San Luis Potosi, Fernando Toranzo, where the shootings took place, were killed by the same cartel that has wreaked havoc in his state. The paper reported that the agent killed has been identified as Jaime Zapata, 32. The other agent, whose name has not been released, was taken to a hospital in Houston. They were assigned to the ICE attache in Mexico City. The paper reported that the Mexican government bans U.S. law enforcement personnel from carrying guns. A press release said that Homeland Security Secretary Janet Napolitano and Attorney Gen. Eric H. Holder Jr. had decided to form a joint task force, led by the FBI, to track down the perpetrators. 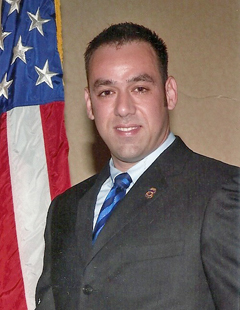 Agent Zapata joined ICE in 2006 and was assigned to the Office of the Deputy Special Agent in Charge in Laredo, Tex., where he served on the Human Smuggling and Trafficking Unit as well as the Border Enforcement Security Task Force, ICE said in a statement. He began his federal law enforcement career with the Department of Homeland Security as a member of the U.S. Border Patrol in Yuma, Az. A native of Brownsville, Tex., he graduated from the University of Texas at Brownsville in 2005 with a Bachelor of Science in Criminal Justice. Posted: 2/17/11 at 9:00 AM under FBI, Milestone, News Story.